A partnership between the International Congress for Joint Reconstruction and the Foundation for Orthopaedic Research and Education has created one of the largest providers of orthopaedic education. 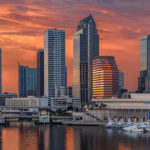 TAMPA, Florida – An expanded alliance between 2 leading organizations in orthopaedics – the International Congress for Joint Reconstruction (ICJR) and the Foundation for Orthopaedic Research and Education (FORE) – is ushering in a new era in orthopaedic education, offering a multimedia educational platform that includes live meetings, webinars, online CMEs, websites, and mobile apps across multiple subspecialties. Per an agreement effective on February 1, 2017, FORE has assumed management of all aspects of ICJR’s US-based meetings, international courses, and global partnerships. In addition, FORE is now providing oversight of ICJR’s cutting-edge digital media platform, including ICJR.net and ICJR Mobile for smartphones and tablets. 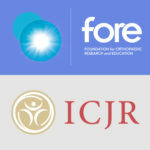 ICJR and FORE have had a limited partnership since 2015 that leveraged each organization’s strengths: ICJR’s competencies in developing, delivering, and promoting original content and FORE’s meeting management expertise and ability to accredit continuing medical education (CME) activities such as ICJR’s online CME program and live meetings. 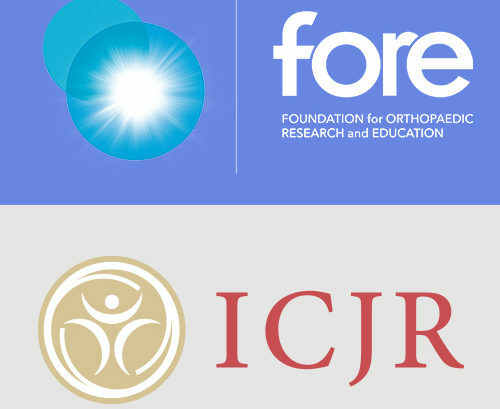 The FORE-ICJR partnership has created one of the largest providers of orthopaedic education, with a combined audience of nearly 3,500 attendees at CME-accredited live meetings annually and more than 11,000 orthopaedic professionals accessing ICJR content online. Combined, these organizations are now uniquely positioned to provide access to the most relevant and timely educational opportunities, including exclusive content from global thought leaders, for orthopaedic surgeons across subspecialties. As part of FORE’s increased role in managing ICJR’s operations, Derek Pupello, MBA, CEO of FORE, has been appointed to ICJR’s Executive Board. “I am excited about this new opportunity to work even closer with the ICJR board and faculty to continue providing orthopaedic content of the highest quality,” Mr. Pupello said. In addition, Jason Heath, formerly Vice President of ICJR, has been brought on full-time at FORE and appointed Executive Director of ICJR. In his new role, Mr. Heath will oversee the execution of ICJR’s strategic educational initiatives. “We are very pleased with this relationship and we are confident that through it, ICJR will continue to expand its educational platform around the world,” said W. Norman Scott, MD, FACS, president of ICJR. Visit FORE at Booth 1317 at the American Academy of Orthopaedic Surgeons’ annual meeting, March 15-17 in San Diego. Staff will be on hand to answer questions about ICJR and the expanded partnership. 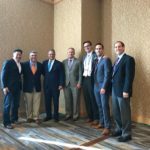 The International Congress for Joint Reconstruction was established in 2007 by a group of leading orthopaedic surgeons who were committed to creating the next generation of education and community for physicians involved with joint reconstruction. More information about ICJR can be found at www.ICJR.net.